Subject: Restoration of 1/3rd commuted portion of pension in respect of Government servants who had drawn lumpsum payment on absorption in Central Public Sector Undertakings/Central Autonomous Bodies – Stepping up of notional full pension w.e.f. 1.01.2006 for the purpose of Dearness relief and additional pension for old pensioners. Orders for revision of 1/3rd restored pension of absorbees, who had drawn lumpsum payment on absorption, were issued vide this Department OM. of even number dated 15.9.2008 as amended/ modified vide OM No. 4/30/2010-P&PW(D) dated 11.07.2013. As per these memorandums, the full pension of the absorbees was notionally revised w.e.f. 1.1.2006 in accordance with the instructions contained in this Department O.M. No.38/37/08-P&PW(A) dated 1.9.2008. 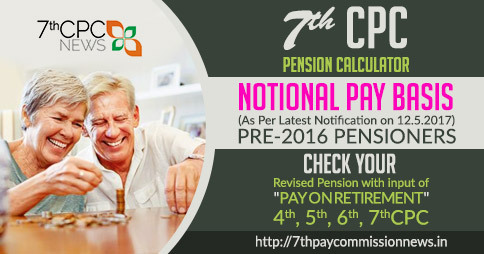 The payment of DR and additional pension to old pensioners is regulated on the basis of the notional full pension. 3. 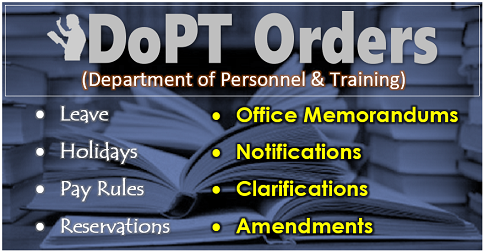 Instructions were issued vide this Department’s OM No 38/37/08-P&PW(A) dated 30.07.2015 for revision of pension/ family pension of all pre-2006 pensioners/ family pensioners in accordance with this Department’s OM dated 28.01.2013 with effect from 1.01.2006 instead of 24.09.2012. 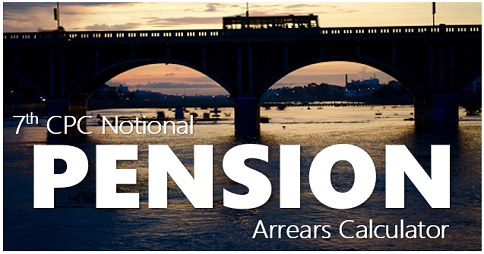 Accordingly, the notional full pension of absorbee pensioners was also revised in accordance with the instructions contained in aforesaid OM dated 30.07.2015 w.e.f. 1.01.2006 instead of 24.09.2012 for purpose of payment of dearness relief and additional pension for old pensioners vide this Department’s OM of even no. Dated 17.02.2016. 4. Instructions have now been issued vide this Department’s OM No. 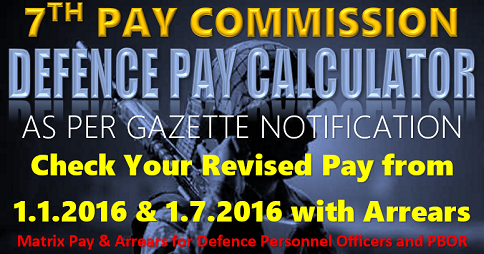 38/37/08 P&PW(A) dated 6.04.2016 that the revised consolidated pension of pre-2006 pensioners shall not be lower than 50% of the minimum of the pay in the Pay Band and the grade pay (wherever applicable) corresponding to the pre-revised pay scale as per fitment table without pro-rata reduction of pension even if they had qualifying service of less than 33 years at the time of retirement. Accordingly, the notional full pension of absorbee pensioners would also be revised in accordance with the instructions contained in aforesaid OM dated 6.04.2016 w.e.f. 1.01.2006 and dearness relief and additional pension for old pensioners would be admissible on such notional revised full pension. There will, however, be no change in the actual 1/3rd restored pension determined in accordance with the OM dated 15.09.2008 read with OM dated 11.07.2013. The Orders of the Govt regarding revision of pension of PSU Absorbed pensioners in pursuance. 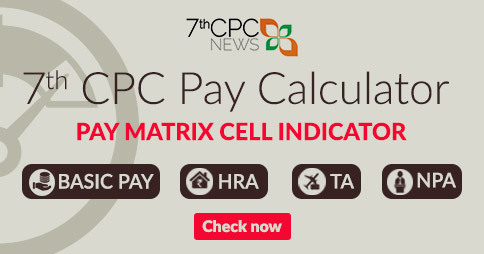 Of the seventh pay commission report is pending for long.The High court of Madras and Supreme Court has very clearly stated that Absorbee pensioners are entitled to get full pension restored after the period of commutation.The Courts have also clarified that the provisions of the Pension Act 1871 vide Section 10&12 has provided that the right of cannot be bartered. away and after the period of commutation full pension should be restored.laboured of clear verdict of courts the concerned ministries have not implemented the court decision so far.Financial implications should not be a reason for the inordinate delay in implementing the court decision in respect of all Absorbed pensioners.Should every such pensioner go to court to get his rightful pension restored? Delay in implementation of my revised pension order, even after 2 months. Reminded the officials twice. No action to release my arrears from 21/04/2008. Ex JTO – Dept of Communications..
Why this inordinate delay in issuing pension fixation as per 7th CPC of those who got lumpsum payment at the time of their absorption in CPSU and are presently getting 1/3rd restored pension ? Deptt. Of Pension and Pensioners Welfare is sleeping over the matter since long. What type of welfare to old pensioners this Deptt. is doing?? I also share the views of Mr.C. Blasubramaniam. This is abnormal delay and injustice towards those pensioners who are getting only 1/3rd restored pension and absorbed in CPSU. As per policy of Government of India all regular employees and pensioners should given revised pension as per VII pay commission in the month of August,2016 itself but complete september has passed and no orders has been issued by DOPT till date. Immediate attention is needed. 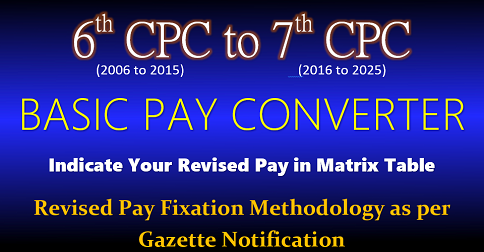 Ministry is yet to issue instructions regarding implementation of 7th Pay Commission’s recommendations in case of PSE absorbed pensioners. They are not implementing the assurance they have given in OM dated 4-8-2016. I am an absorbee in central psu and taken lumpsum commuted value of pension subsequently granted 1/3 rd pension at the rate of Rs3277/per month +DR Rs.5604/- Total Rs 8881/ per month in the pre m revised rate.I regret to inform that my pension not yet revised. I am getting pension through SBI A/C No-10448789998. 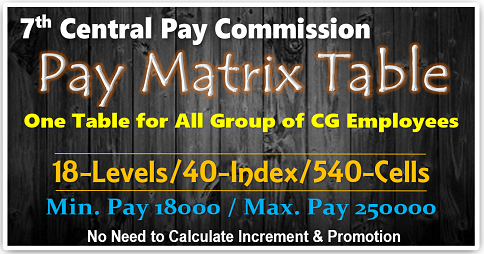 The lump-sum payment on 100% commutation was also not paid at the time of absorbption and was frozen for 7 years. When the money when ultimately was paid, income tax was levied on that amount. And now, only those who opted for 100% commutation are the sufferers. 15 year period, when they lost their pension is much higher than the lump sum amount. Why this kind of vengeful treatment only to these pensioners. How many are alive and how much Government is saving on this? Very regretful.